WELCOME TO BEST ADVENT EVER™ REDISCOVER MERCY! ARE YOU READY? The Dynamic Catholic Team couldn’t be more excited to journey with you this Advent. We are in this together—we are here to help and serve you along the way. Why are we doing this anyway? Well, this time of the year is a time of preparation. We bake cookies, decorate the house, put up the tree and the lights, buy and wrap presents, send Christmas cards, and do countless other preparations. But do we prepare our hearts? Advent, at its core, is about getting ready to encounter Jesus at Christmas. Your journey to that encounter begins with recognizing that in the end it all comes down to the mercy of God. No one is perfect. You and I, we don’t just want mercy. We need it. We’ve heard it before: “For God so loved the world that he gave his only begotten Son…” (Jn 3:16). But have you really thought about it? God came for you. And he came because he loves you. Let him love you this Advent. Let him show you his heart. And let him transform yours. Then, at Christmas, you will be prepared to welcome him in a whole new way. HOW DO WE PREPARE FOR ADVENT? 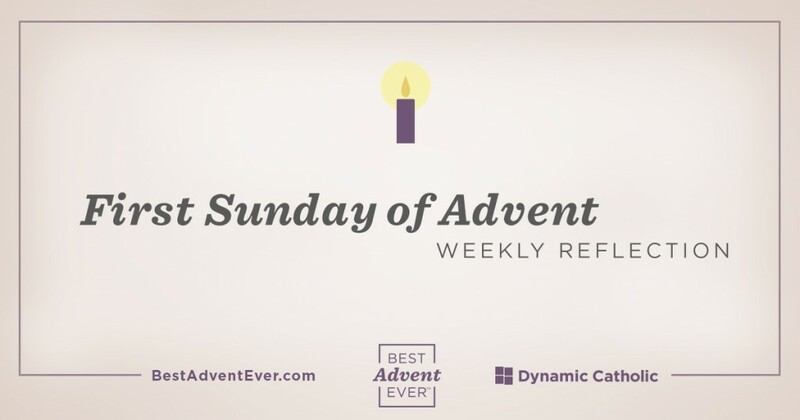 As you know, the theme for Best Advent Ever is Rediscover Mercy. We selected this topic because Pope Francis has called for an extraordinary Year of Mercy. Pope Francis is inviting each of us to make mercy a focal point of our spirituality. Best Advent Ever is the perfect way to accept his invitation. We may think we know that he loves us or that his mercy is boundless, but have we experienced it? Have we been the hands and feet of God, the living embodiment of his mercy to those around us? I think Pope Francis has called for this Year of Mercy because he wants us to connect on a personal level with God’s mercy. But how do we do it? Fortunately for us, there is genius in Catholicism. The Church has given us the works of mercy, which help us receive God’s mercy and share what we’ve been given with others. The works of mercy are broken up into two categories: the corporal works of mercy and the spiritual works of mercy. Much of our time together this Advent will focus on these works of mercy. Through them, you will encounter the mercy of God and learn practical ways to share that mercy with others. Jesus is coming at Christmas to see you. Will you prepare your heart for him? Schedule a time each day to spend preparing for Jesus’ coming with Best Advent Ever. You’ll only need 5-10 minutes each day. How have you seen the power of prayer?